Believe it or not, September 23 and September 24 mark 5 years since the landfall of one of the strongest hurricanes on records — and we’re not talking about Hurricane Katrina. Hurricane Rita was the 4th-strongest Atlantic hurricane currently on record. Rita became the 3rd Category 5 Atlantic hurricane in 2005. Sustained winds in the storm reached as high as 180 MPH. 120 people died in the storm. 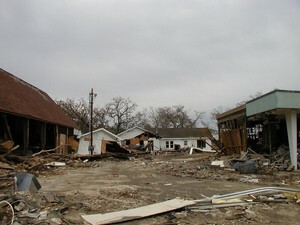 Damages from Hurricane Rita totaled over $10 billion.